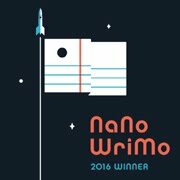 Anakina blog: “Red Desert” final book cover reveal. What will become of Earth? Here I am again to show you the cover of the next book in the Red Desert series, and this time it’s the last one. “Red Desert - Back Home” is the final book in the series. Once again this cover isn’t a great surprise, as it’s similar to the Italian one. I designed it, and the Earth photo on it is an actual shot of Earth taken by Italian astronaut Luca Parmitano during his stay on the ISS in 2013 (the same year when the Italian version of this book was originally published). If you read the previous books in the series, especially the latest one, you must still be guessing what’s going to happen after that evil cliffhanger (I know you hate me a bit because of it, don’t you?). Now it’s time to learn what will become of Earth, and of course also on Mars, because this book, like the previous one, has two settings: Earth and Mars. Well, your curiosity will be satisfied on 31 July. In the meantime, here is the book description, which gives you a glimpse at the story. It’s their home, they were born and raised there, but at the same time they’ve never set foot there. And so the deep feelings that Anna and Hassan have as they return to their own planet, after almost five years, are mixed with the marvel of the foreign entity they bring with them, as it lands on a new world. The two survivors of the Isis mission are welcomed as heroes, but they can’t enjoy the adulation. The intent they are pursuing has priority over everything else. Now that the adventure on Mars is over, what will Anna’s choice be? What will become of Earth? Are you ready to complete your journey? 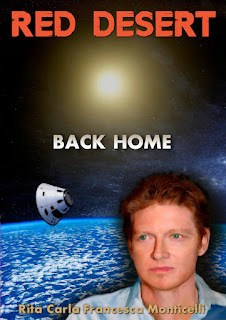 The final book of the “Red Desert” series, “Back Home”, is a novel. It’ll be soon available for pre-order on Amazon, Kobo, Apple, and Barnes & Noble, and then on Google Play, Nook UK, Scribd, Oyster, and other retailers on 31 July.